The main purpose of having grills is safety. 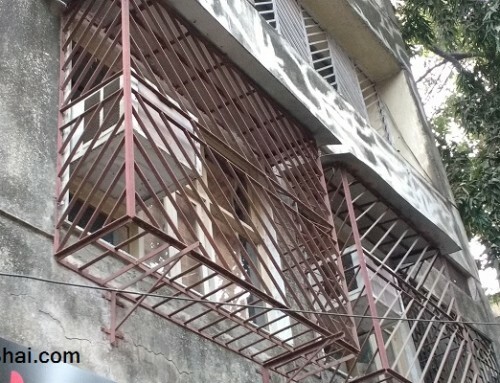 Therefore these safety grills used for windows, balconies and safety doors, are typically made of metal that cannot be easily broken. If made in any other material like wood or glass, the grill would have been easily broken and the purpose wouldn’t be solved. The safety grills are available in different metal materials like steel, aluminum and iron. To construct a safety grill, the metal rod is welded in desired shape. But before that the metal rods that are available in straight form are given a fine finish with different chemicals and anti-rust solution. After which the metal rods are welded or drilled into desired shape and design. 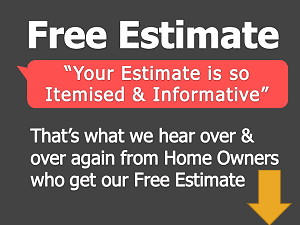 Once the grill is ready of desired size and design, it is then painted and finally installed in desired place. The metal rods or bars used to construct safety grills are either flat “patti” or strip, square bars or cylindrical bars. 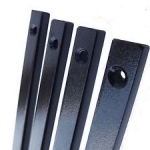 These bars are available in different thicknesses like 9mm, 10mm thick square bars, 10mm or 12mm thick cylindrical bars and 1.5 mm thick flat patti bar used to construct grill. Grills made of flat “patti” strip is something we do not suggest as it can easily be cut or broken. Also to construct a box grill from flat “patti” bars, the corners or each side are joint by drilling screws. This decreases the strength of the grill since holes are formed making it unsafe. 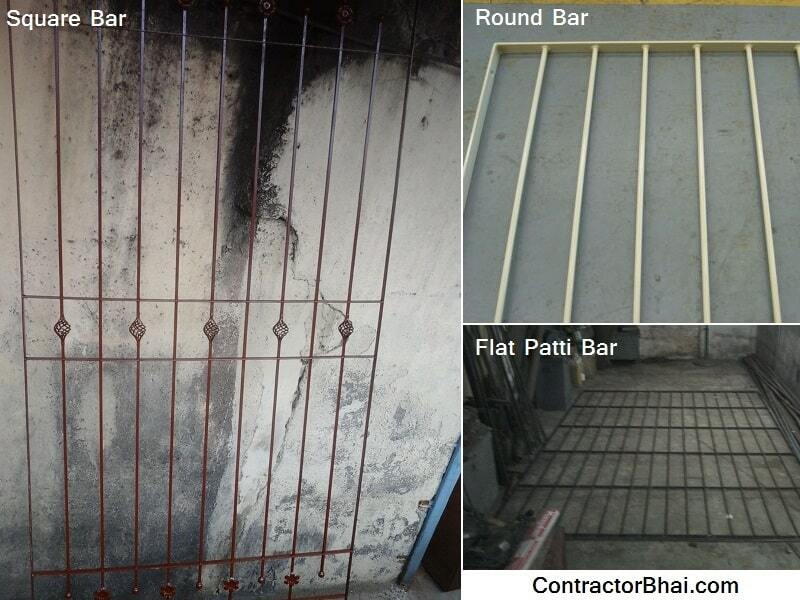 Flat “patti” bars are usually used for support purpose of grills. The window grill is attached or installed by drilling screws of these flat patti bars, that act as an extension to main grill design. Flat patti bar is sometimes used for grill design for where overlapping is needed. 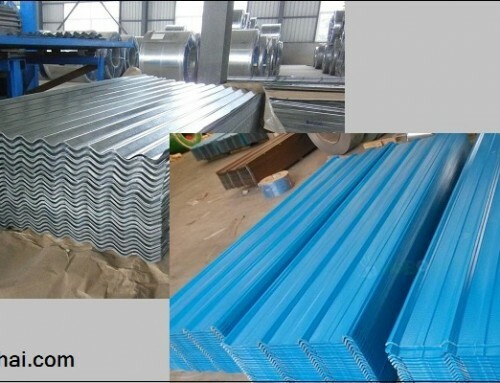 Rounded or cylindrical metal bars and square metal bars are usually used to construct grills. 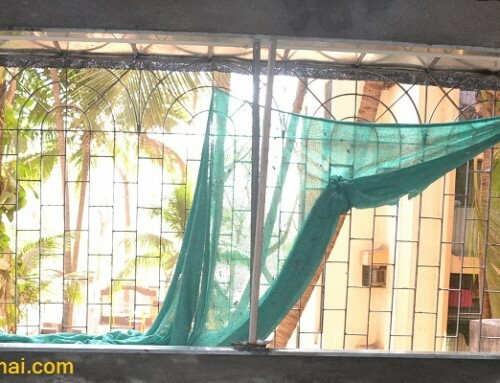 Home owners can choose from a variety of design and style window and balcony grills made from such metal bars. One advantage of having rounded bars safety grill is that dirt and water will not settle on grill as like square bard safety grill. 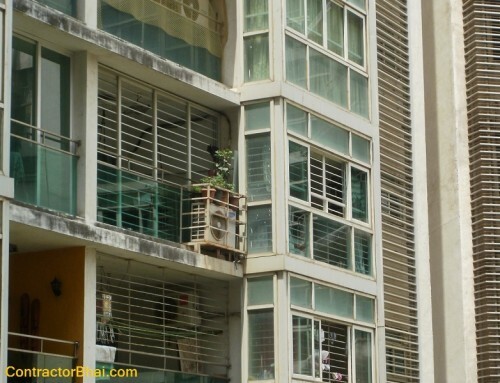 Safety grills be it for window, balcony or safety doors are usually constructed through welding process. If appropriate thickness bars aren’t used, such grills can easily be broken with a hammer. We therefore suggest our clients to have 1-piece grills installed for their homes and offices. 1-piece grills are locally termed for grills that are constructed with minimal welding process. Such grills are said to be stronger, durable and safer to have. Therefore we suggest all home owners to have 1-piece window grills installed or fixed to secure their homes from theft and burglars.